In the PBS documentary, Monsoon, the poet S P Kurada notes, “The wild monsoon winds blow with abandon, swaying everything in their path. Rivers flow and flowers bloom in celebration of the monsoon as the world is transformed under its spell.” The poet’s sentiments are no exaggeration, for the socio-economic destiny of millions of people in the Indian subcontinent are bound to the timely arrival and an even spatial distribution of the Indian summer monsoon. The first attempts at forecasting Indian monsoon rainfall, a strong component of Asian monsoon, began following a devastating famine in the late 1870s. In spite of its regularity, monsoon exhibits large variability in space and time. In India, the meteorologist has to look for variation in rainfall within a few kilometers as well as within the entire country. Then there are temporal rainfall variations: they range from daily to interannual (year-to-year) to multi-decadal and even millennia. It is the interannual variations which are a major concern for many sectors like agriculture, water resources and power generation. A weak monsoon year with significantly low rainfall can cause reduced crop yield, even droughts. In contrast, a strong monsoon favours abundant crop yield, and can also cause devastating floods. Skillful forecasting therefore is crucial for the socio-economic wellbeing of India. The first seasonal forecast of Indian summer monsoon rainfall covering India and Burma was issued on June 4, 1886 by H Blandford who established the Indian Meteorology Department in 1875 and was its first chief reporter. Blandford used the inverse relationship between preceding winter and spring snowfall over Himalayas and subsequent monsoon rainfall that he identified to issue the first official forecast. The predictability of a climate system such as the Indian monsoon depends upon our ability to understand and model the mechanisms causing its variability. It is a complex affair. This is because the atmosphere is very unstable and the systems responsible for the events that we are trying to predict, such as clouds or a monsoon depression (in which thousands of clouds are embedded), are the culmination of the instabilities and involve non-linear interaction over spatial scales ranging from a few kilometres (as in a single cloud) to hundreds of kilometres (as in a monsoon depression or a hurricane). The seasonal mean monsoon circulation and rainfall are affected by changes in factors such as sea surface temperature (SST), snow cover and soil moisture because of changes in the large-scale organised convection—these factors are called boundary conditions. Theoretically, it has been shown that changes in these factors can be predicted a little beyond two weeks; scientists call this the limit of atmospheric predictability. They hypothesise that predictability of such factors can translate to predicting atmospheric circulation and rainfall. On this hypothesis rests the scientific method for seasonal monsoon rainfall prediction. But the year-to-year variation of the summer monsoon rainfall due only to the boundary conditions is the only potentially predictable component of monsoons. The remaining variance is driven largely by fast varying day-to-day weather or intra-seasonal variations and is difficult to predict. With our current state of knowledge, meteorologists can predict extreme years—wet or dry. For seasonal prediction of monsoon, two main approaches are used. The first approach is based on the empirical statistical method. It draws from the historical relationship between the Indian summer monsoon rainfall and predictors derived from global atmosphere-ocean parameters. However, while such a statistical approach is reasonably accurate for the country or the subcontinent, it has been found wanting for forecasts at smaller spatial scales such as state, sub-division or district. For monsoon circulation and associated rainfall, meteorologists rely on what they call dynamical approaches: the Atmospheric General Circulation Model (AGCM) or Coupled General Circulation Models (CCGMS). The former is primarily driven by separately predicted SSTs. In contrast, CCGMs are driven by the SST simulated within the model structure. 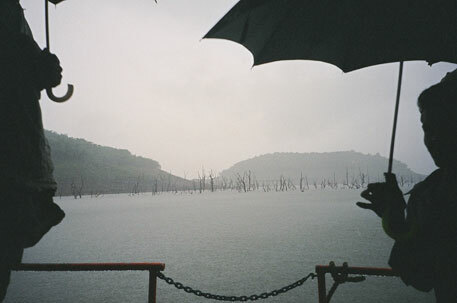 ACGM-based forecast systems are widely used around the world for seasonal forecasting because they have low computational cost, but they have been found to be faulty for monsoon prediction. In comparison, CGCMs have a better record in forecasting the evolution of anomalous SSTs over equatorial Pacific—ENSO. This has been possible mainly due to improved knowledge of the phenomenon, more and more powerful computers, and a very good operational observation system over the Pacific. As ENSO is the main source of interannual variability for monsoon, improvement in forecasting it should also lead to improvements in seasonal monsoon forecasting. However, the situation has become a bit complicated with the recent weakening of the Indian monsoons relationship with ENSO. Though CGMs have shown better skill than AGCMs in understanding this phenomenon, improvements in model physics is necessary for these models to be used for operational forecasting. With this in mind, the Ministry of Earth Sciences in India has recently launched a National Monsoon Mission project to improve dynamical models for short- to long-range monsoon forecasting. In recent times, coupled models have shown improvements in forecasting monsoon’s intra-seasonal variability, which was earlier thought to be nearly unpredictable. Intra-seasonal variability also plays a substantial part in the annual variability of monsoons and improved prediction of such variability should help generate better forecasts of monsoon on smaller spatial and temporal scales. But the projected impacts of the global warming on the mean monsoon circulation and rainfall patterns, and on monsoon teleconnections throw up new challenges in monsoon prediction and these call for continued efforts in improving the global observational networks and the models as well.